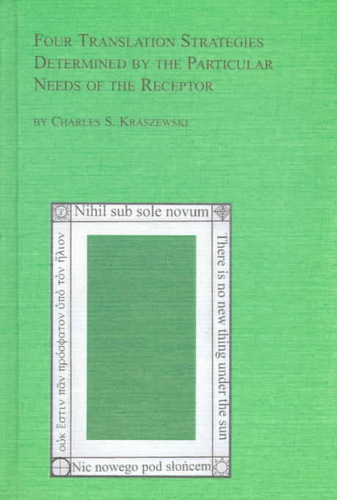 245 1 0 %a Four translation strategies determined by the particular needs of the receptor : %b translation theory backwards / %c Charles S. Kraszewski. 260 # %a Lewiston [etc.] : %b The Edwin Medlen Press, %c copyright 1998. 300 %a , V, , 223 strony ; %c 24 cm. 504 %a Bibliografia na stronach 215-220.